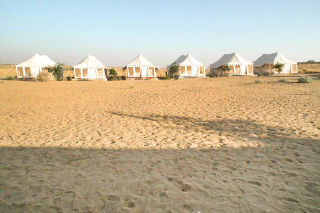 It is Located at Sam , 45 Kms from Jaisalmer (known as sand dunes of Thar Desert). 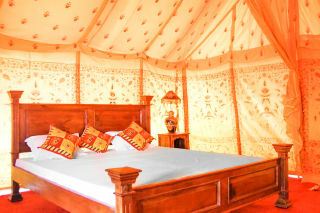 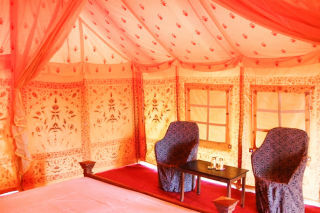 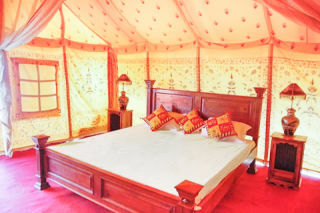 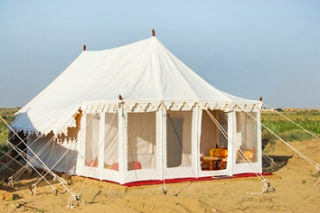 It is one of the best camping sight of Thar Desert- Jaisalmer. 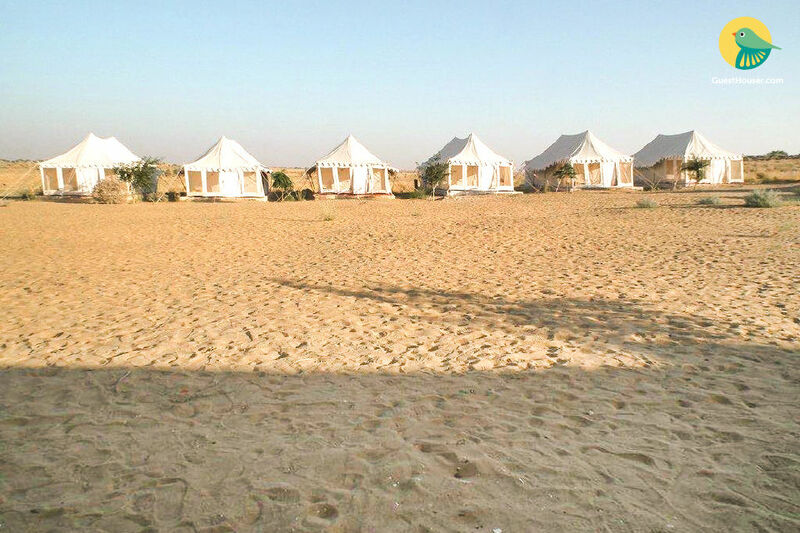 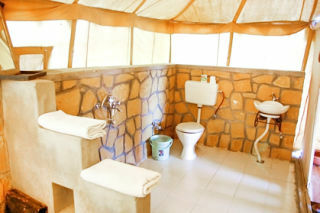 Each of the tents is carefully placed for commanding views over the desert wilderness. 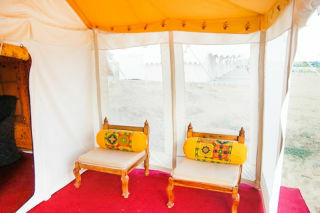 Beds are large and confortable, can be arranged as single, double or twins, and have electric lamps on side tables that light the tents effectively at night.